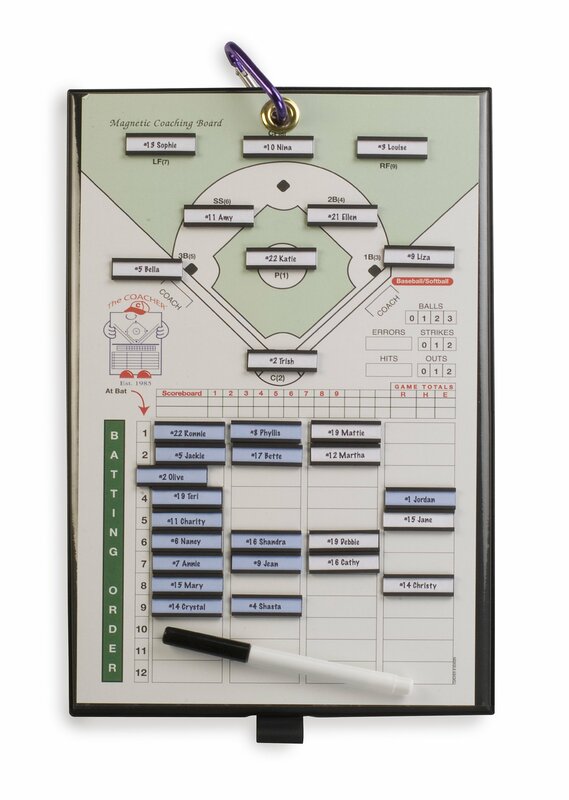 Coacher Magnetic Baseball Players line-up board is 8-1/2" x 14". Dual purpose for baseball/softball with one side magnetic and one side for notes/diagraming with quick-erase surface. Includes clip, magnets, name cards, pen, holder and hanging "S" hook .